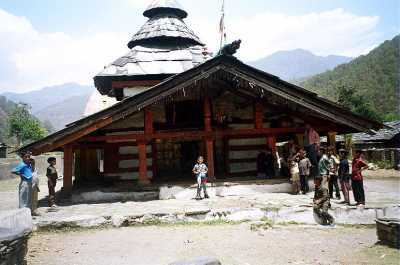 NOTE: This is a guide for a 12-day self tour to Char Dham in Uttranchal state of India. We do not conduct any tours! A self-tour to the Char Dham of Garhwal can be done and refers to the four ancient temples that mark the spiritual sources of four sacred rivers, Yamuna (Yamunotri), Ganga (Gangotri), Mandakini (Kedarnath) and Alaknanda (Badrinath). 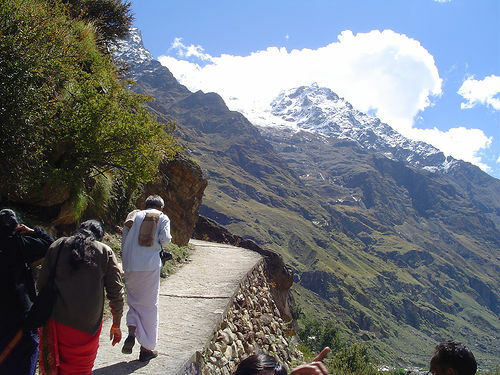 Every year during the ‘yatra’ (pilgrimage) season from April to November hundreds of thousands dedicated Hindu pilgrims make these important treks – the exact dates that the temples are open are announced each year by the local priests. Religious tourism is big business and numerous buses, share jeeps, porters, ponies, and palanquins are on hand for transport, along with a well-established network of budget guesthouses, ashrams and government rest houses. As a result, getting to these temples is easy enough without the need for a guide or carrying supplies. 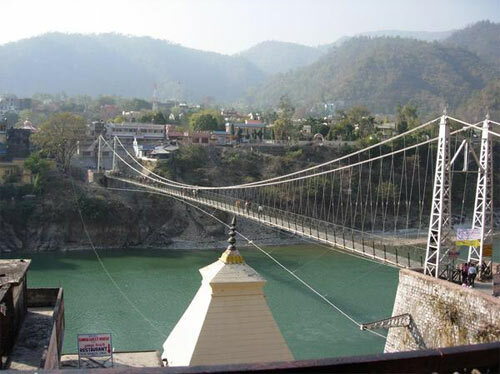 Arrive at Delhi and transfer to Rishikesh by road, take lunch en-route. On arrival, check-in to hotel to relax. Free in the Evening. Dinner and overnight stay. Visit Lakshman Jhoola in the morning and go for local sight seeing, take early lunch and drive 230 km to Barkot, via Mussoorie, visit “Kempty Falls” on the way. On arrival check-in to hotel. Dinner and overnight stay. A magnificent view of the eternal snow of Bandarpoonch peak can be seen from Barkot. Drive 40 km to Hunuman Chatti, then 8 km by local jeeps till Janki Chatti and 5 km trek thereafter. After an early breakfast drive up to Janki Chatti, then trek 5 km one way through lush green valley, a profusion of conifers, rhododendrons, cacti and several species of Himalayan shrubs, to reach Yamunotri, perform pooja, take holy dip at Yamuna river and take the same route to come back to Barkot, for over night stay in hotel. In the morning, drive 100 km to reach Uttarkashi. Check-in to hotel. Uttarkashi is situated on the banks of river Bhagirathi and is famous for its historical monuments, Temples & Ashrams. Visit the famous Vishwanath Temple and Nehru Institute of Mountaineering, where Ms Bachhendri Pal, the first Indian woman to reach Mount Everest, received her basic mountaineering training. Overnight stay at Uttarkashi. Leave for Gangotri via Gangnani, Harsil in the morning and on arrival at Gangotri take a holy dip in the sacred river The Ganges, also called Bhagirathi at its origin. Perform Pooja and relax for sometime in the lovely surroundings. Drive back to Uttarkashi. Overnight stay at Uttarkashi. After an early breakfast leave for the longest journey of the trip by road. Take late lunch en-route. On the way see the heritage city of Tehri submerged in to the mighty waters of holy river Ganges, due to the construction of Tehri Dam. Travel along the beautiful river Mandakini to reach Guptkashi late in the evening. Guptakashi is a richly rewarding area coloured of imaginative scenery and incredible landscape. Visit Ardh Narishwar Temple. Stay overnight at Guptkashi. After breakfast, pick up your packed lunch and leave for Gaurikund (37 km drive one way). On arrival start your journey on the tough trek ahead. Stop for the lunch en-route and reach Kedarnath by late afternoon. On arrival check in to guest house. After freshening up perform Pooja and Darshan at the Shri Kedarnath ji. In the evening, visit Adi Shankaracharya samadhi at the back of the temple. Dinner and overnight stay in hotel in Kedarnath. After morning darshan trek 15 km & drive 164 km to reach Pipalkoti if time permits, otherwise spend the night at Guptakshi. Pipalkoti is a busy town cradled in the lap of lush green mountains and terraced fields. Stay in Pipalkoti / Guptkashi. It’s recommended to stop over at Pipalkoti because on your way to Haridwar, it’s best to leave from Pipalkoti (see Day 10). After breakfast leave for Badrinath . Enjoy the beautiful drive through the thick medicinal forest, take lunch en-route. Reach Badrinath by late afternoon. Dinner and overnight stay at Badrinath. After morning Arti and Pooja, visit Mana the last Indian village before the Tibetan border and then drive 85 km to reach Pipalkoti for over night stay at Pipalkoti. After breakfast leave for Haridwar, take lunch en-route. If time permits visit Devprayag (The confluence of rivers Alaknanda and Bhagirathi), to become Ganga. 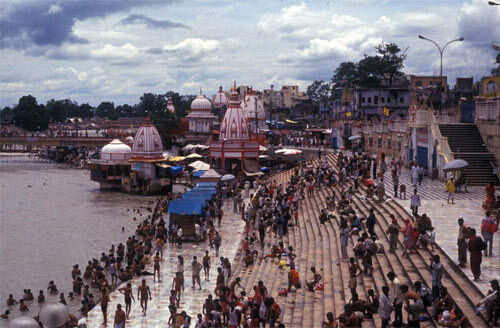 Reach Haridwar in the evening, attend Ganga Arti at Har ki Pauri and over night stay in Haridwar. After breakfast leave for Delhi. Take lunch en-route. Tour ends in Delhi. Depending on the hotels, restaurants, means of transport (for driving and trekking) you select, the costs for 2 persons can be approximately Rs 50,000.